New brand alert on Myntra! Yes, an exquisite brand NAVIBHU has been launched on Myntra. This is a brand with a difference and many stories. Who upholds the brand you ask? The indigenous handloom and traditional weavers from across India. They produce their breathtaking creations for Myntra and Myntra brings it directly to you at your doorstep. So Myntra has found us a way to directly source our traditional saree and dupatta needs from the creators and artisans behind these, giving them most of the share of the profit that is to be made by excluding any middlemen, while at the same time ensuring quality for us. Talk about what technology and some good intentions can do! 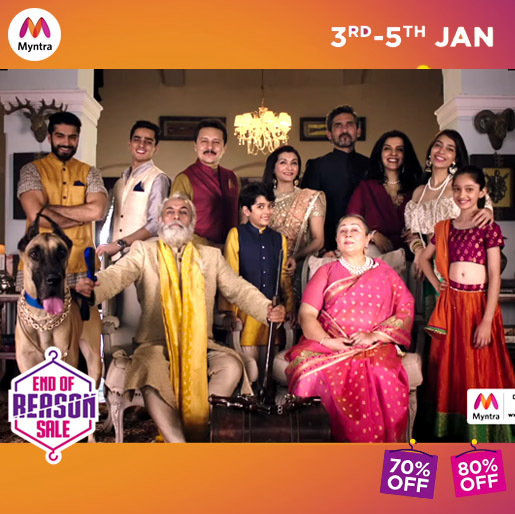 Myntra has always been committed to the quality and genuineness of the products you receive so much so that it has sourced all of the NAVIBHU products directly from weavers across the country. This ensures quality and affordability of these products and is proving to be a revival of the lives of the talented artisans associated with Myntra. 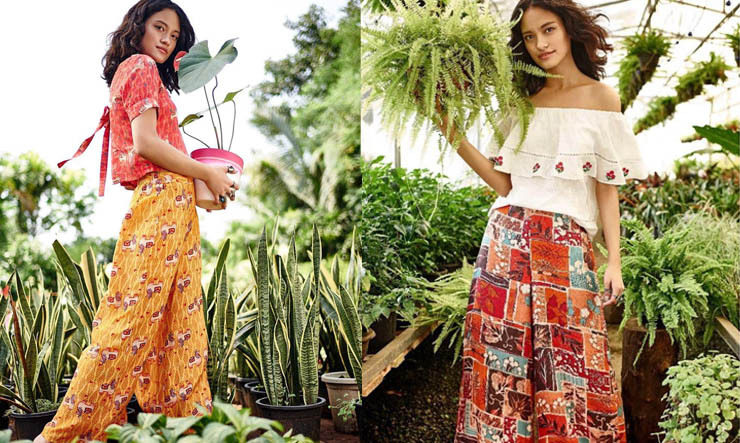 Myntra is greatly invested in reviving the rich culture and heritage of Indian handlooms. Not only is NAVIBHU bringing growth and prosperity to the lives of these weavers and craftsmen, but Myntra along with the Government of Indian is sponsoring their education at IGNOU & NIOS. Something to make sure that these small industries don’t die out within their new generations. The brand has been launched in association with the Ministry of Textiles to support weavers and promote India’s traditional handloom industry. All Navibhu products are sourced directly from weavers across the country. This ensures quality and affordability of these products and is proving to be a revival of the lives of the talented artisans associated with Myntra. Not only does Myntra aim to bring growth and prosperity to the lives of all these weavers and craftsmen through Navibhu, it is, along with the Government of India, also sponsoring the education of handloom weavers and their children at IGNOU & NIOS. Something to make sure that these small industries don’t die out within their new generations. The launch was part of Myntra’s annual summit, Tech Threads, where the Minister for Textiles, Smriti Irani unveiled NAVIBHU, wishing the brand great success. She also underlined the growth in sales of Indian handloom brands on e-commerce brands like Myntra. Coming to the role of technology Myntra is offering this initiative, Myntra CEO, Ananth Narayan, while receiving the good wishes and expressing Myntra’s gratitude and pride to be able to be a part of this initiative by the Government of India, talked about how Myntra is spending technology to achieve this growth and showcased two new technological innovations by Myntra- Rapid as a Service and Myntra Mirror. While Rapid as a Service is going to use Artificial Intelligence (AI) to design new brands, like Myntra is already doing with Moda Rapido and Here&Now, Myntra Mirror is going to use AI to improve the brand-customer interface. You should definitely check out the collection on the Myntra App and website. These pieces are worth becoming your family heirlooms and therefore spending on these would be an investment which you won’t regret. The launch was facilitated by a star studded fashion show. This indeed is a big milestone in reviving the small cottage industries in India and help people in these jobs thrive.